On Friday three teams from Bogota High School opened their winter season. The Bogota Wrestling Bucs traveled to Dover and posted a 51-30 victory over the Tigers. Bogota won 9 of the 14 bouts with all but two of them being decided by Pin Falls. The Bogota Men's Basketball Bucs traveled to Hawthorne Christian Academy and came with a 47-46 win over the defenders. Bogota took an 8 point lead into halftime, and then had Hawthorne narrow the gap to just two points as the final quarter started. Deiker Padrino had a game 16 Points with 4 three point field goals. 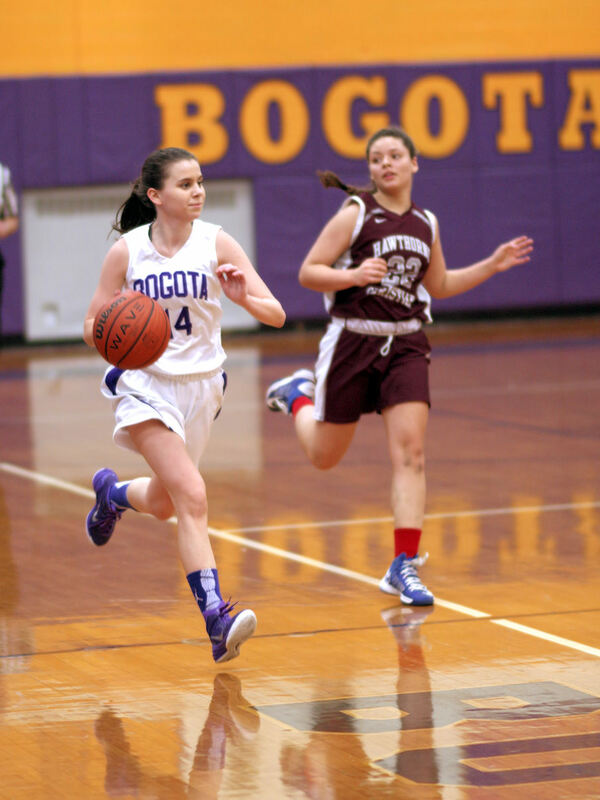 The Bogota Lady Bucs Basketball team play Hawthorne Christian Academy at Speary Gym to start their season. Bogota started scoring the first 9 points of the game on their way to a 8 point first quarter lead. The Lady Bucs stretched their lead to 31-10 at halftime. At the beginning of the third quarter unfocused play, and sloppy passing from Bogota cause Coach Damian Kennedy to quickly called a timeout to remind his team on how to play to protect a lead. By the final quarter Bogota had once again established the pace of the game and game away with a 54-33 win over the Lady Defenders. Leila Ksiyer had a game high 16 Points. and Tatiana Bruno lead with 2 three point baskets. They next travel to Waldwick for a game on Tuesday 22- December with 5:30p start.